In its latest findings, IDC forecasts employee liable Android shipments will hit 87.7 million units, while iPhone shipments are pegged at 37.1 million, reports Computerworld. This is in addition to corporate-furnished sales, which stand at 15.1 million and 31.1 million for Android and iPhone, respectively. The combined figures far outpace what is expected of RIM's BlackBerry, which is seen as reaching 5.2 million employee liable shipments and 14.8 million from consumers. This lack in interest from the mainstream customer base is hurting RIM's attempts to stay on top of the enterprise heap. 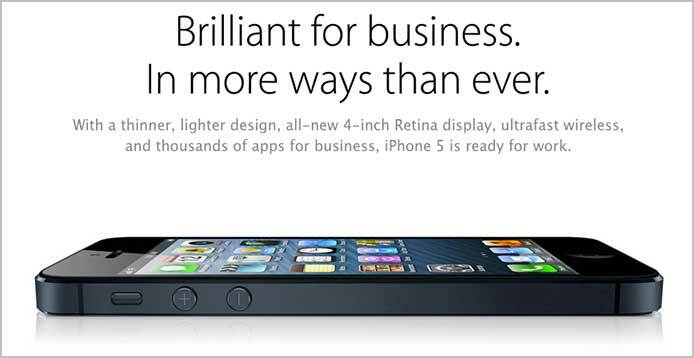 In 2011, BlackBerry led in corporate liable smartphone shipments in 2011 with 22.4 million. "BlackBerry continues to be the gold standard for security," the IDC report said, but noted that a reduced interest in the platform from consumers and developers "hinders its viability going forward." Projections show that Apple's iPhone will become the top corporate liable smartphone and will reach 68.9 million shipments in 2016. Businesses are buying iPhones "in droves," IDC said, pointing out that Apple's well-instituted iOS platform and tight security are "win-win" for enterprise customers. One concern, however, is Apple's strict app submission and curation policies, which the firm said"can create frustration" with enterprise customers. On the other hand, while Android has a bevy of developers and the number of employee liable devices far outstrip any other platform, the fragmented operating system has "more gaps in security than many organizations are comfortable with," which will likely keep it behind the iPhone until those issues are resolved. The trend toward iOS is becoming more palpable and long-standing service and product providers are beginning to take notice. Most recently, a report noted that Microsoft will initiate a licensing rate hike on Dec. 1, tacking on a 15 percent premium to user client-access licenses. The move is thought to take advantage of the burgeoning bring-your-own-device movement, which is arguably led by Apple's iPad and iPhone, but also applies to Android devices. RIM is close to launching its latest BlackBerry 10 OS and corresponding devices, however the attempt might be too little, too late as an increasing number of companies and government agencies are switching to iPhone. The National Transportation Safety Board became the latest U.S. agency to ditch BlackBerry for Apple's offerings, saying the RIM devices have "been failing both at inopportune times and at an unacceptable rate." Previously, the U.S. Immigration and Customs Enforcement agency announced it would be purchasing more than 17,600 iPhones for its employees, while NOAA, the GSA will all be introducing similar plans.